Let's say it loud and clear: the series which was expected to be an acid test for India has turned out to be a damp squib thus far. New Zealand hasn't really turned up in both the games; failing abysmally against the wrist-spin. 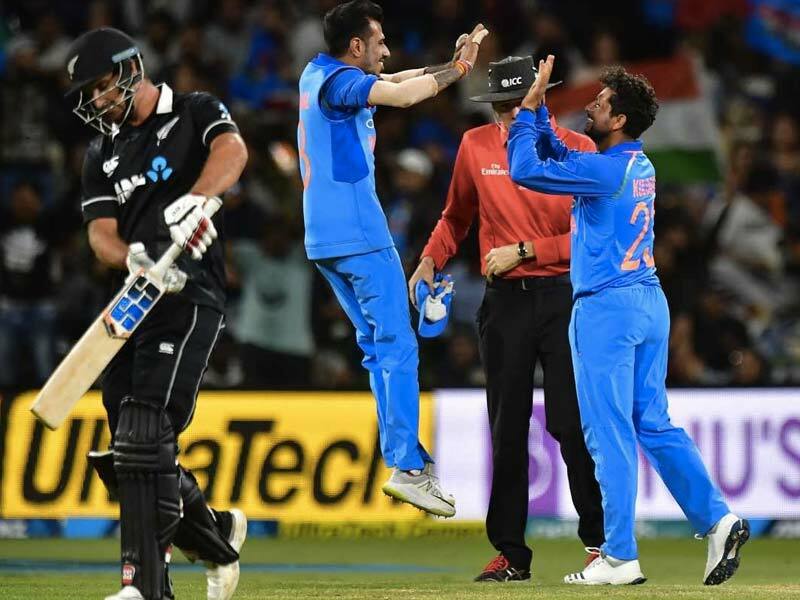 Think back to the 3-match ODI series in 2017, the Kiwis seemed to have a cheat code against Indian spinners or the 2014 series where every time India looked like winning a game, the hosts won crucial moments to deny the Men in Blue a single victory. The problem is the players that seem to have read Chahal and Kuldeep pretty well in 2017 have come onto the crease with their side against the eight-ball thanks to India's new-ball bowlers in Shami and Bhuvneshwar. In the second ODI too, Shami and Bhuvneshwar claimed early wickets of Williamson and Guptill to allow the shenanigans of the wrist-spinners to take over. New Zealand has forced two back-to-back ODI series deciders in India [2016 & 2017], so, surely, there has to be more to this series than another damp squib, for it wouldn't be good either side in the larger scheme of things. While India would like to test themselves in uncomfortable situations: like the top-3 getting out cheaply in a run-chase and the middle-order taking center stage or New Zealand getting off to a rollicking start to see how the spin-twins respond against the onslaught, the Kiwis, needless to say, need a win under their belt to garner back some of their lost confidence after two successive maulings. The last thing the Kiwis need is to play India's spinners on a used pitch, which is what they'll have to deal with on Monday. The match is expected to be played on the same strip on which the second game was played. The weather is expected to be pleasant with temperatures hovering in the early 20s. New Zealand- The hosts might opt to play both the spinners in Sodhi and Santner, considering the nature of a used pitch. Which means Colin de Granddhomme might miss out from tomorrow's encounter. India- Hardik Pandya has joined the squad but it remains to be seen whether the team management directly slots him in the playing 11.